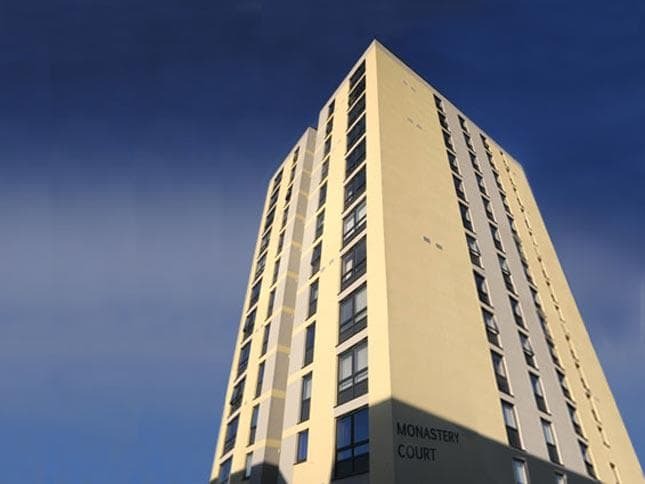 The £2.9m refurbishment of three 1960s tower blocks (Ellen, Wilkinson and Monastery) in Jarrow, Tyne and Wear were part of a borough wide regeneration scheme in South Tyneside with the aim of transforming the 132 flats into energy efficient housing. 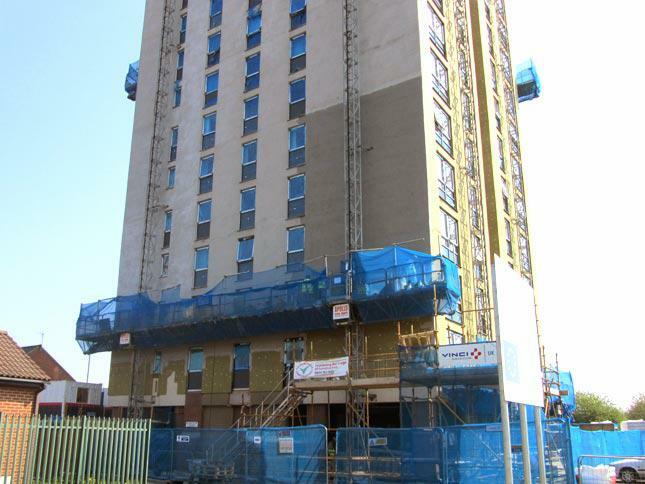 This involved the fitment of full external insulation render wrap, insulation boarding and the installation of energy efficient windows. 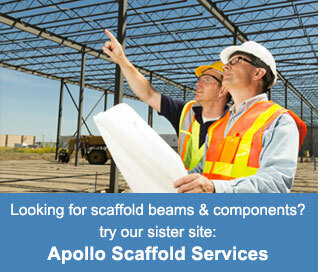 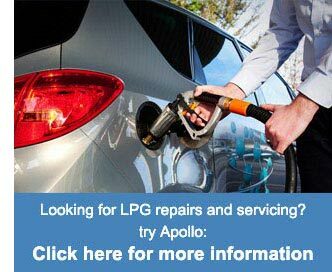 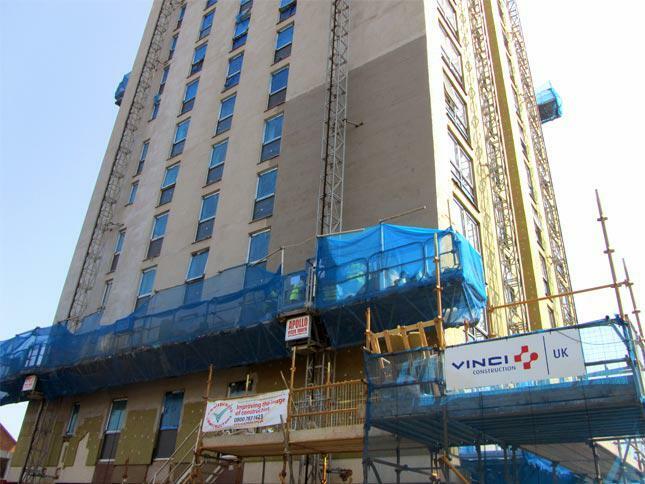 Contractors Vinci Construction UK approached Apollo Cradles for the hire of a number of mast climbers to achieve the project's aims. 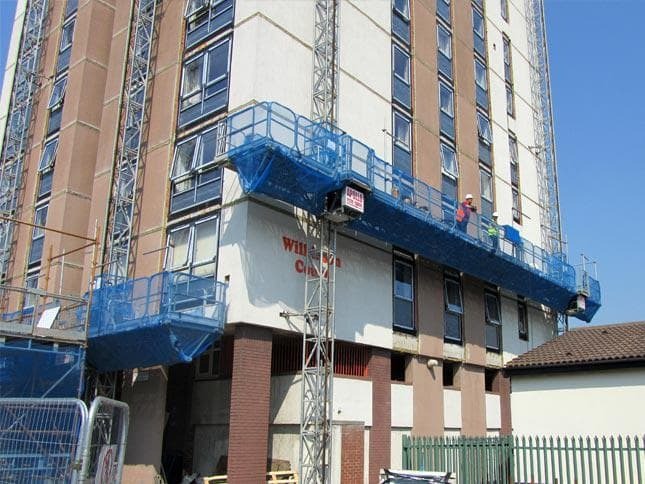 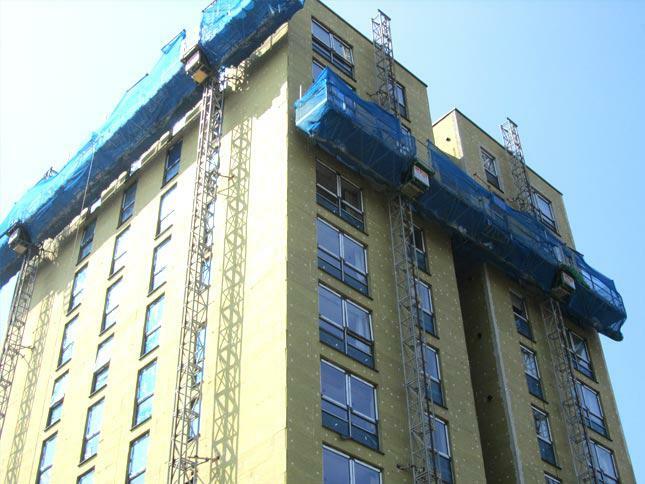 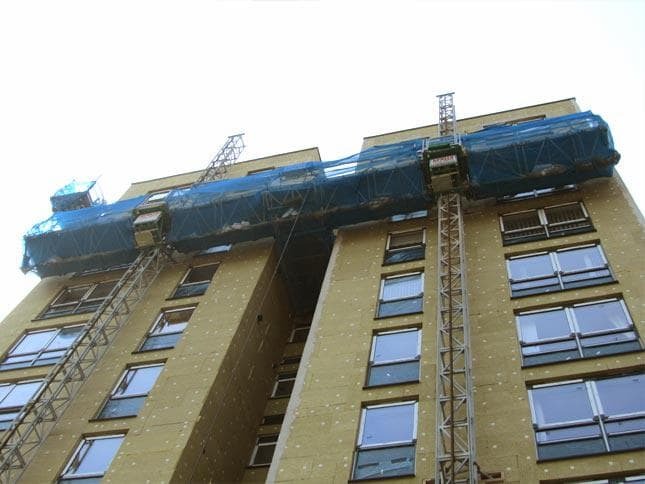 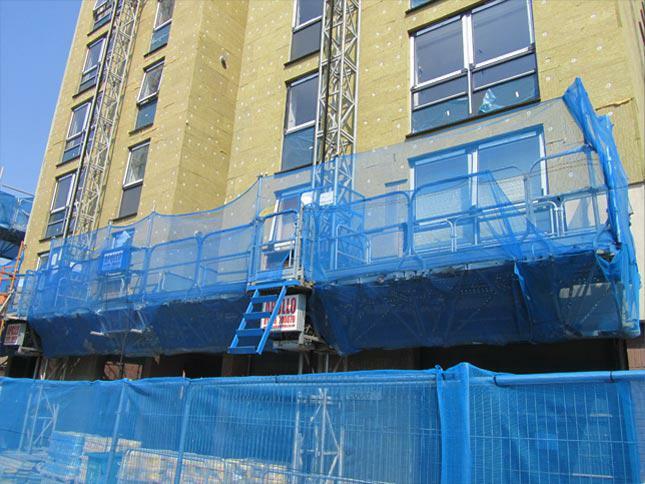 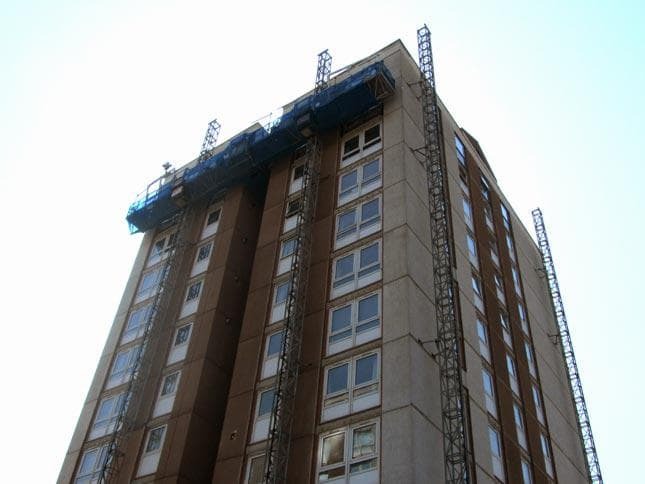 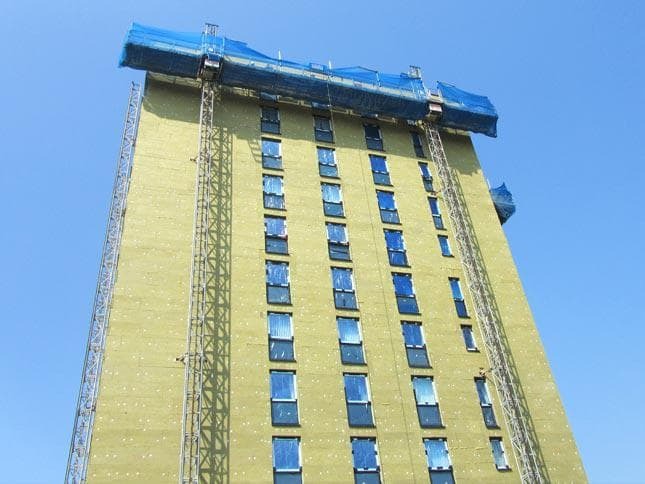 Providing multiple mast climber solutions to install external render wrap, insulation boarding and energy efficient glazing.